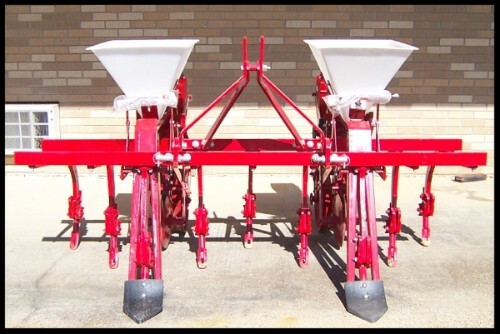 Covington Planters » Darrell Harp Enterprises, Inc.
Covington Planters are designed to fertilize and plant all row crops, including gin-run or delinted cotton, peanuts, beans, grains and vegetables in one easy operation. You can depend on Covington to give you accurate depth control on uneven land and trouble-free planting without clogging from trash and other debris. The TP-46 features a time tested design that is both simple to operate and to maintain. This planter has proven itself as a true "work horse." This one row combination offers the small gardener a planter that has been proven for over 100 years! 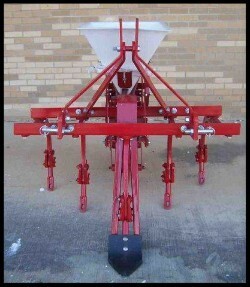 The Big Bee 102 Cultivator is designed to accept the original Covington Planter. 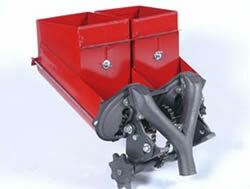 The optional layoff foot is also designed to work with the Planter/Cultivator combination. Shown with polyethylene fertilizer box. Also available with wood fertilizer box. 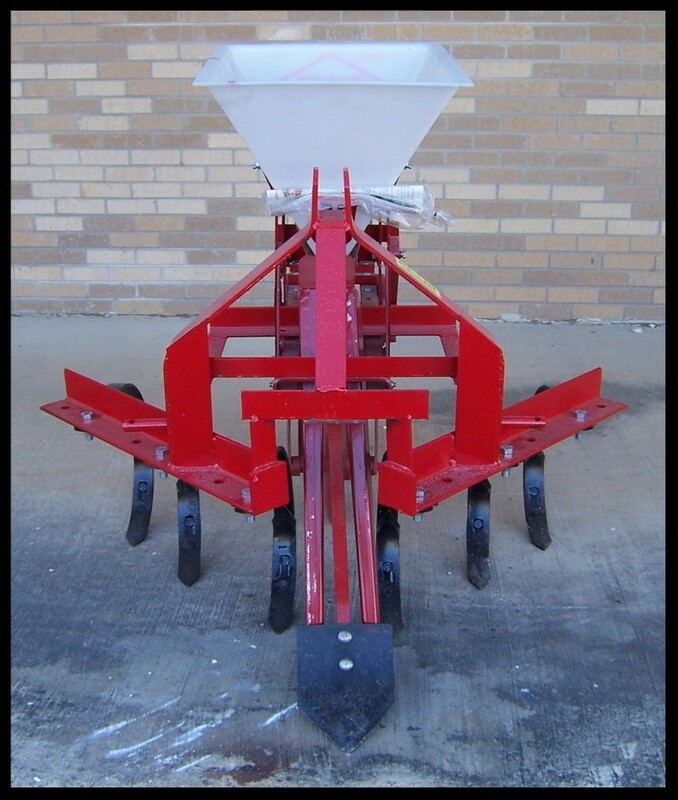 Designed to fertilize and plant all row crops in one easy operation. Always plant seeds exactly in the center of fertilizer streams so they do not come in contact with fertilizer. 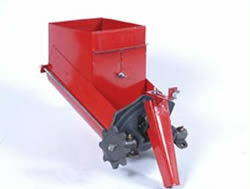 For gentle seed handling, Covington grain attachments feature a divided delivery design and an inclined seed plate. With only a small amount of seed in the front section, there is no pressure on seed being lifted by plate cells. Each unit has a one-compartment seed hopper and a single seed plate. It also features an adjustable tilt bracket. Planting speed varies between 2 to 4 mph. 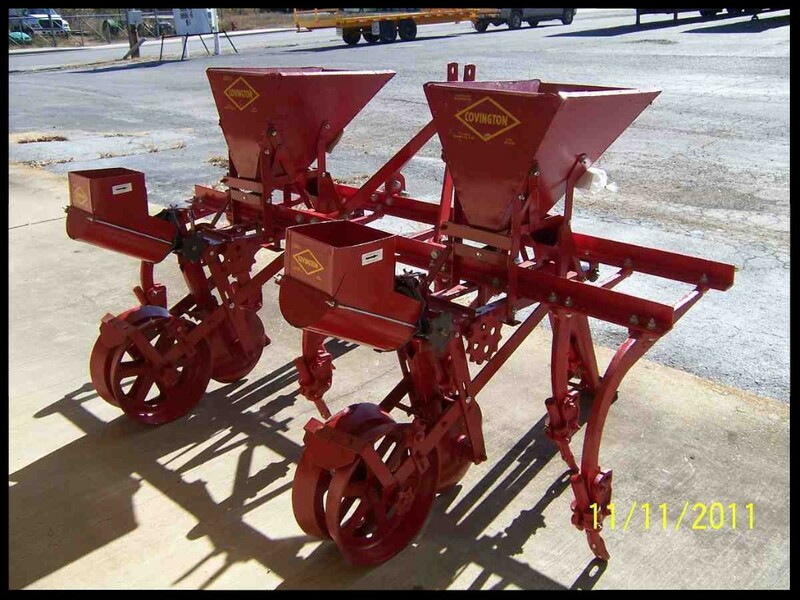 Each unit has a two-compartment seed hopper and two seed plates. Plates are synchronized so that seeds drop alternately from the two units. This allows increased speeds (to 3-5 mph). 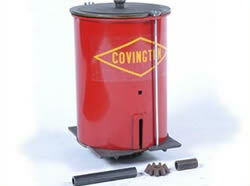 Cotton Dropping Attachment for planting gin-run cotton. With a vegetable drilling attachment (not shown) small seeds such as turnips, collards and mustard can be planted. Easily interchangeable with hardware provided.